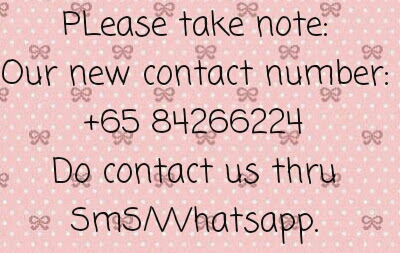 Sorry for the slow updates. As we are more active on both our instagram & FB page. 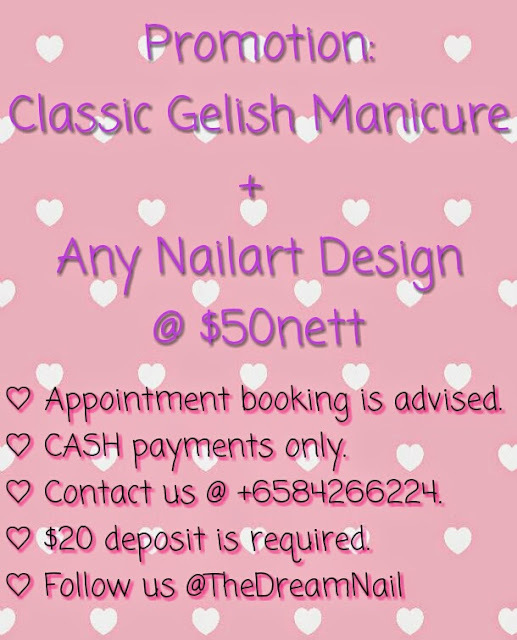 Do check us out from there instead of our blog..
Latest nail services pricelist & promotion is up too. 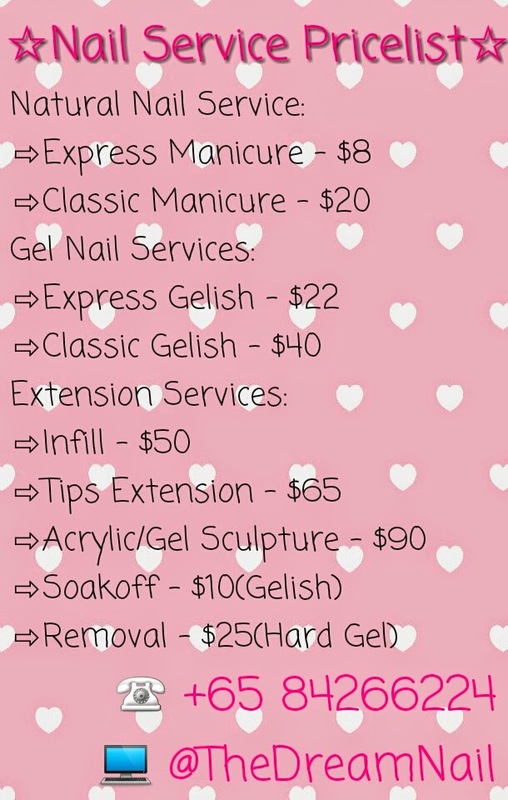 Do book your appointment at least 3 days advance. Last min call up will be rejected mostly. 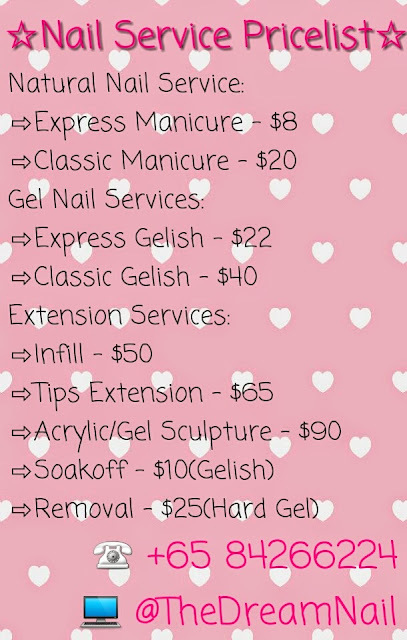 So please contact us in advance & so you wont be disappointed. Take note that our contact number will only be @ +6584266224.